Road lighting was required along a section of Rifle Range Road. 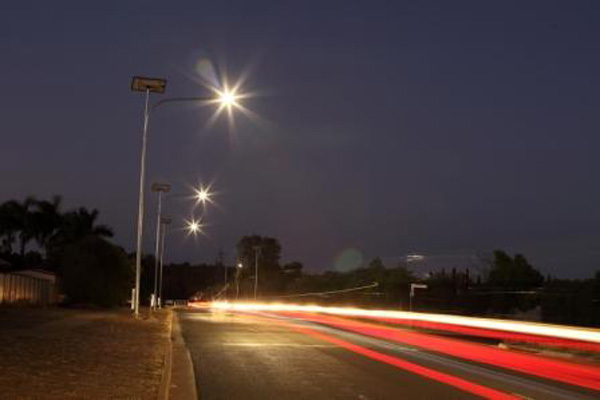 Orca Solar Lighting® provided eight stand alone Vertex® solar lights to provide a P4 level of lighting. 8.5m tapered HDG TMR approved slip based poles with the luminaires mounted 10.5m on a 3.00m curved outreach were utilised. Installation in May 2015 by a local electrical contractor.